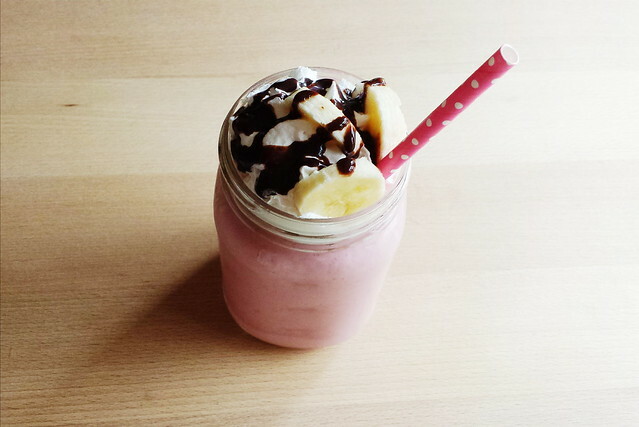 I came across this banana split milkshake recipe from Yoplait a couple of weeks ago, and thought I'd hang on to the recipe until summer when it would make more sense to have a delicious, frozen treat. I didn't wait obviously. I just had to try it now. That's how I am with sweets. I have very little self-control when it comes to sweets. 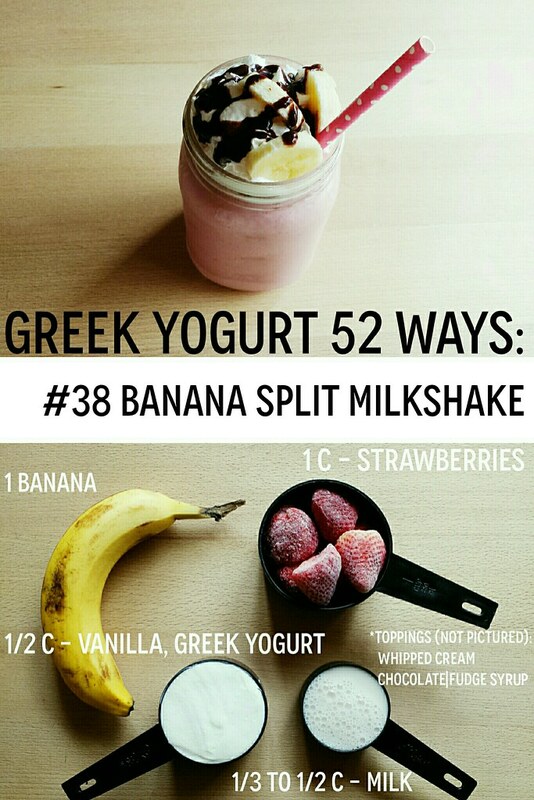 That's exactly why I'm doing this Greek yogurt 52 ways project. I need to have healthy dessert substitutes at the ready. For this milkshake I modified this recipe. 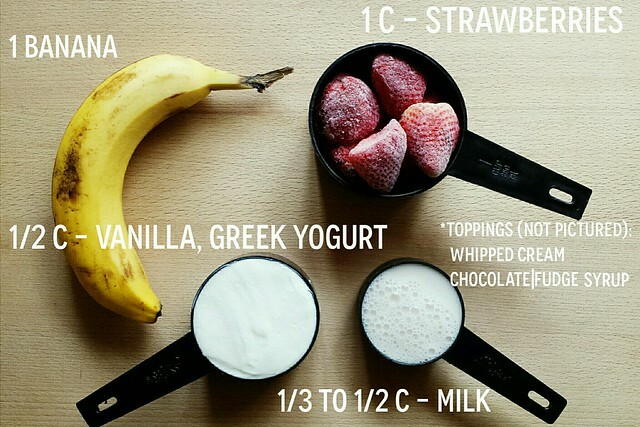 Combine 1 cup of frozen strawberries; 1 banana (save a couple of slices for later); 1/2 cup of vanilla, Greek yogurt; and 1/3 to 1/2 cup of milk (I used almond milk). Blend until smooth and finally, top with whipped cream (I think the nonfat whipped cream tastes just as great), banana slices, and chocolate syrup. This milkshake was on point. Creamy and delicious. I think next time around I will freeze my own ripe strawberries to increase sweetness. Sometimes store-bought, frozen strawberries seem like they were frozen when they weren't quite ripe yet. At any rate, Juli, my toddler, caught me in the middle of making this milkshake and demanded her own cup. She sweetly demanded whipped cream and said, "I need a straw!" She really liked it. I did, too!